Remember when tooth brushing used to be a chore for children? 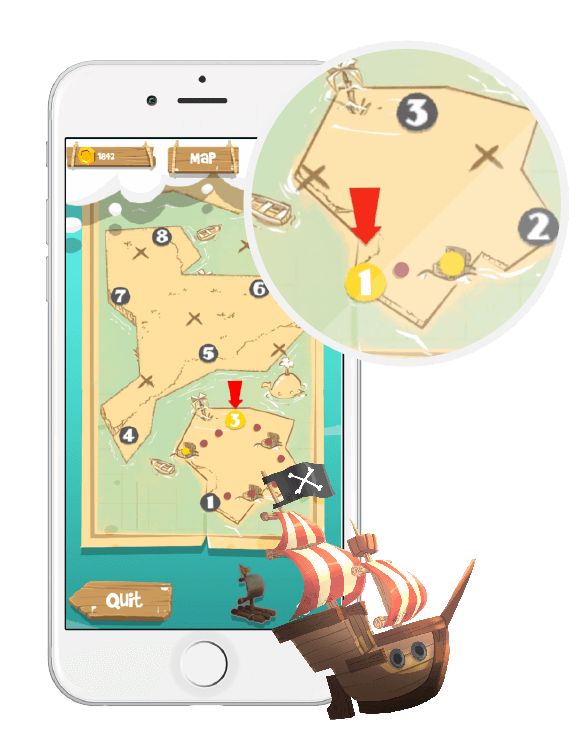 It is now a fun and playful experience, thanks to Kolibree’s interactive educative game Go Pirate 2! 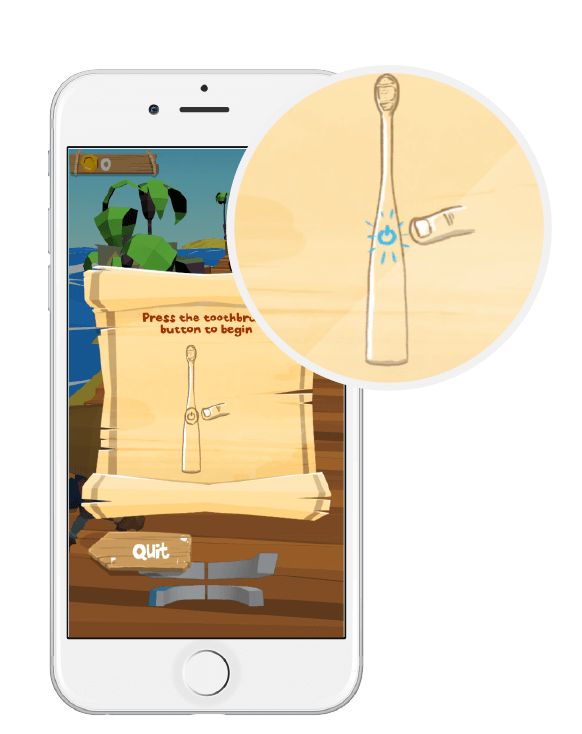 Thanks to your Kolibree toothbrush which interacts with the game like a joystick, kids can now play a fun game while brushing their teeth. 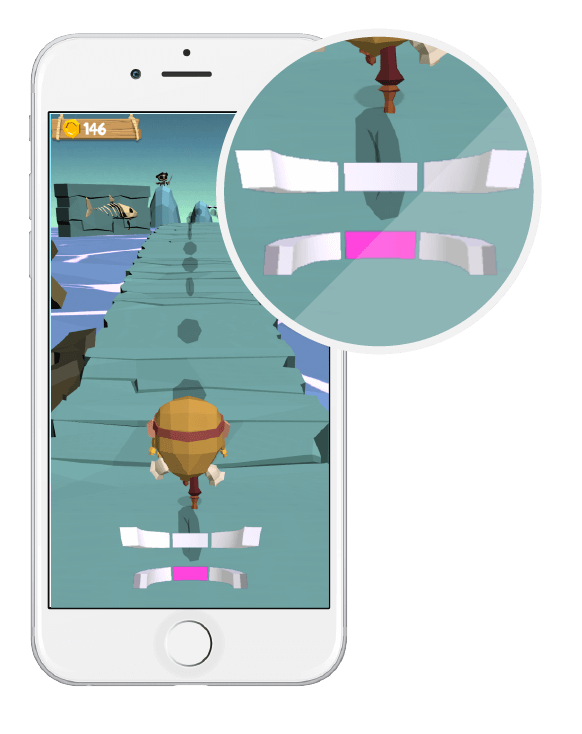 Better yet, the game is conceived to teach children to brush all areas of their mouth thoroughly, without neglecting any important surface of their teeth. An extraordinary adventure takes little ones on a pirate treasure hunt, which guides them from island to island, in search of the Great Black Beard’s treasure, throughout 16 game levels. During their brushing, children collect gold coins, which allows them to acquire boats and to access different islands where new adventures awaits them. The game is designed to last for at least 3 months, with two brushings per day for two minutes minimum each. During the game, the Kolibree Smart Guide shows the areas to brush in real-time. When children brush properly and regularly, they earn more coins which allows to progress in the game. During the initial game levels the Smart Guide divides the mouth in 8 zones, while later in the game young players are introduced to 16 key areas. 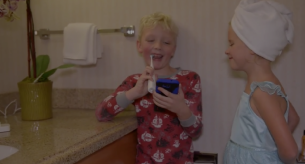 As children progress in the game and become more proficient at tooth brushing, the difficulty in the game increases slightly to introduce more details in proper tooth brushing. For instance, starting at level 9 (Carsaro island), if children do not brush the right areas the coins become transparent until they brush properly again. Children may also encounter precious stones which they can collect, to be exchanged for gold coins. As children progress in brushing regularity, their profile improves from young sailor, to first mate, helmsman and more, before they become captain! Everything is designed to link a fun gaming experience and its progresses with increased oral hygiene and education. “Everything as advertised! I get that dentist clean feeling and I can have confidence that I did it right, know how to improve, and know ways to keep good hygiene throughout the day. Download the Kolibree Smart App & Game now for free.